Welcome to our Ford engine warehouse. We are a family-owned business with enormous enthusiasm for Ford F-Series engines. We specialize in used Ford engines with low mileage and three simple steps will get you free quotes. 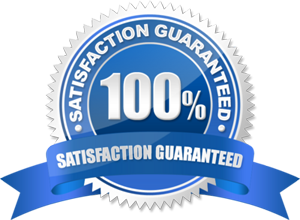 If you decide to buy, you get our money-back guarantee. Grab your Ford VIN, grab the shop address and tell us which part you need. That's all that is required. While you're checking prices on used engines, you can compare its price to those for remanufactured Ford engines or against rebuilt Ford engines. 3) What Auto Part You Need. We have an enormous inventory of used engines ready to ship. Average delivery is 3-4 days to US and Canada locations where shipping is free. Buy a Ford engine with a warranty and order securely. Get a 100% money-back guarantee on any Ford engine for sale through friendly knowledgeable powertrain specialists. You'll find what you need among the 16,000 gas-fired or diesel-fueled Ford auto engines for sale. We understand the convenience of internet advertised prices. It helps you compare. You get a ball-park figure at the least. You haven't time to waste, especially when it's your primary transportation that you're needing to drop and engine into. The truth is that used auto engines move quickly in the industry. Online prices are almost guaranteed to create confusion because of the frequency of sales. Online catalogs aren't entirely accurate either. We desire helpfulness, not confusion. Since we're straight shooters, we'll let you know that the best way to get accurate availability and pricing is to call the used engine dealer direct. That would be us. It's also important to know that any quotes, explanations and descriptions are completely free. Call while it's on your mind. It will only take a couple minutes. No obligation. No email required. Ford Motor Company has had a heavy hand in various classes of automobiles from compact cars, like the Ford Mustang, and trucks like the compact Ford F-150. From there they serve up great full-sized trucks, like the XL or the Ford XLT to full-sized commercial vans like the Ford Transit and everything in between, such as a Ford Taurus mid-sized coupe or sedan. These are served up all over the globe. If you're looking to drop an engine into your Ford vehicle, it's most likely a truck. We're not suggesting a negative rhetoric for Ford. We mean the exact opposite. For example, the top selling pick up truck in the United States spanning the last four decades has been a Ford. Roomy cabs, luxury options, digital features, large cargo bed dimensions and automotive engineering that was birth to haul all contribute to their popularity. The reality of a Ford full-sized being the biggest truck hugging the pavement, with exception to a semi, is a major selling point. Features aside, no vehicle would be worth its weight atop that gravel road without a full-powered and long-running automotive engine like one of the F-Series engines. Four decades and counting, Ford's future is paved with excellent engines providing longevity to great automobiles. Our clients replace the engine in their Ford trucks because they love them. So do we. These engines just keep ticking. Whether your vehicle is a F-series engine – F350, F450, F550 – a specially released version of the F-series engine, or you need to replace the Ford Control Engine Module, get our personal 100% money back guarantee and free shipping to the US and Canada. Our sales are restricted to models 1998 or younger. Our clients range from owning the F-150 Series engine and end up into the popular Ford Super Duty line up models, but many revolve into the newer models of Ford SUVs, Ford Transit, Ford Mini Vans, SUV and luxury full-sized family sedans, like Lincoln with which Ford still holds a small stake. Mishaps like auto accidents occur. When they do our clients expect fast reliable delivery of affordable high quality engines. We also sell Ford powertrains and Ford transmissions, but we specialize in automobile engines with low mileage. Find your cc size, find any Ford model engine (for years 1998 and above) with any torque or torque-split at Sharper Edge Engines. Call with your Ford VIN, let us know the shipping address and which part you need. Hook up with one of our power train specialists and we'll help you get back to driving in no time with an affordable used Ford engine.